ArcTitan is an email archiving product which allows users to securely archive your organisation’s emails and simply retrieve these archived emails. You need robust search capability, using a dedicated archiving tool is a lot more powerful and robust than using your email client. Large educational organisations need to manage massive amounts of email – with ArcTitan there are no storage limitations. With ArcTitan your customers are able to store and access email as required. 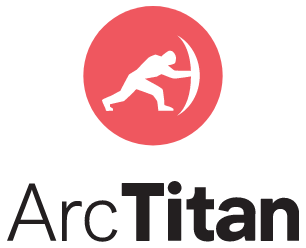 With ArcTitan they get automatic back up, no tape machines/discs required, no off-site storage and no question when it comes to data recovery. Email Archiving in the Cloud. Secure, Powerful, Compliant, Encrypted, Fast. Quick to setup. Easy to use and manage. A powerful search tool. Load performance of more than 200 emails per second from your email server – your emails are archived and retrievable instantly. Slashes time and cost. ArcTitan is designed to optimize ability to find important things when you need them. Locate emails instantly on desktop or mobile. Industry Standards Compliance. Legal safeguard for email compliance. Perfect for eDiscovery and GDPR compliant. Acts as a “black box flight recorder for email”. Never delete auditability. All the benefits of email archiving accessible anywhere at anytime. The same great user experience everywhere. Zero limits on user numbers or storage space in the cloud. No on-site hardware required. Ultimate scalability. Flexible pay as you go email archiving model. Per live user subscription only. Save up to 75% email storage space. Save 80% on email storage space. Reduce from 1,000 GBs to 200 GBs. Eliminate PST files. Reduce the load on your mail servers. 100% protection against data loss. Protect mail servers against outages. Ability to administrate the entire system from your outlook. Admin can replace retention policies and staff mailbox quotas. I can tell you our experience has been outstanding. ArcTitan email archive has been the most effective solution we’ve found. Initially, we tested it for ourselves, but given the success we’ve had, we’re now signed up as a reseller and are confidently introducing the product to our small and medium clients. It’s a perfect fit for our marketplace. Keep up the good work.